Eve of Ebon is an overhead action RPG game that is being developed within a story driven universe. The game-play draws inspiration from the likes of Diablo, Legacy of Kain, and Castlevania SOTN. Overall we 're influenced heavily by the late 1990s era of gaming. We want to show a different side to vampires, a time when they were warriors. This was before the war that scattered them into mankind's cities, prowling like common alley cats for food. Fearless, the clans fought severely outnumbered against the massive human armies of Iden in open battle, claiming their remains as reward. Sărbătoare!! 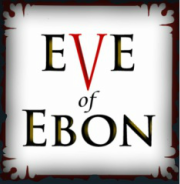 The setting for Eve of Ebon is a combination of medieval and gothic, and the playable warriors in our game are a mix of human and vampire lineage. Each character is from a unique vampire clan within the last vampire legion stronghold of Niven. Their character traits focus on light and dark elements, reacting differently in each setting, and as you evolve, you can customize these traits to embrace your vampire or human lineage. The name Eve of Ebon refers to the days of Ebon, when the ancient brood, a distant more primal cousin to the vampire, awaken from their frozen slumber during the warmest summers every 21 years. The Ebon is an entire week when the Brood feast on the people of Iden before returning to hibernation. Our game takes place before, during, and after the events of the The Ebon. However, unlike previous awakenings, humanity has grown to a force that actually threatens the vampire legion of Niven, amassing an army over twenty times that of the vampire Legion. A secret truce is devised between humanity and vampires to stop the brood and end the war. It will take an elite group of special warriors to accomplish this task. The Siven, born of vampire and human blood, are the only ones who can transverse the daylight scorns and use the power of darkness on a journey to destroy the Brood in their slumber. The night awaits and the eve approaches... The Eve of Ebon.